If you're looking for a reputable and honest diesel service and repair shop in the Phoenix area, check out one of these Bumper to Bumper Radio Preferred Tire Shops listed below. We stand by each of these shops because of their quality work, customer reviews, and their outstanding commitment to quality diesel services! Automotive Diagnostic Specialties is your headquarters for cutting edge auto repair in Chandler AZ. 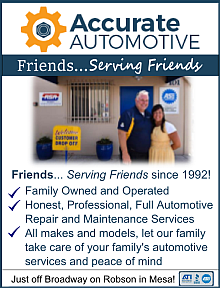 Our staff uses over 100 years of combined experience and the most advanced computerized diagnostics equipment and software to bring your vehicle back to its prime condition. 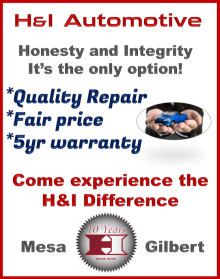 Accurate Automotive is your number one shop for fair priced, honest and customer oriented auto repair in Mesa, Arizona. After opening our doors in 1992, we have tirelessly worked to ensure the personal satisfaction of each individual we have the pleasure of calling our customer. 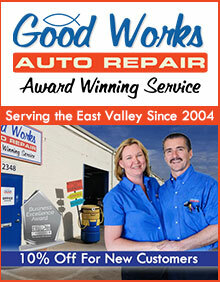 Curt’s Auto Repair in Phoenix Arizona has been known for delivering quality Vehicle repair since 1987. Although young by some people’s standards, it is not uncommon to hear tales of their superior workmanship and customer service.